The Children’s and Youth Ministry Department is focussed on supporting and resourcing all our parishes in their work with children and youth from 0-18 years of age. 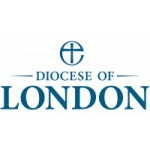 The Apprenticeship Scheme sits within this, employing apprentices to work within a parish for three years, training on the job with teaching and support from the Diocese and Ridley London. The location of each post is dependent on the Parish placement but will be London based. There is an occupational requirement that the job-holder is a Christian under the Part 1 of Schedule 9 to the Equality Act 2010. An offer of employment is subject to a satisfactory Enhanced DBS check (to be carried out by the Diocese at offer stage). Do you have a heart for youth/children’s ministry and a genuine desire to serve your local community through the church? Do you want to get training and experience in working with youth/children in a church context, and grow in your ministry? As an apprentice, you will gain valuable experience and skills as you work within a parish to expand and develop their children and youth ministry. You will receive quality training by RidleyLondon, the London Training Centre of Ridley Hall Cambridge, and graduate with a Certificate in Higher Education (Level 4) in Foundations in Theology, Ministry and Mission, with a focus on youth and children’s work. In Year One: You’ll be employed for 25 hours a week, with 20 hours in the parish, and 5 hours set aside for study. You’ll study an introductory level 4 module in “Foundations in Theology, Ministry and Mission”. In Years Two and Three: Employed for 20 hours a week, with 15 hours in parish and 5 hours set aside for study. You’ll complete a Level 4 Cert HE course in “Foundations in Theology, Ministry and Mission”. Most potential apprentices apply to the scheme alongside a linked Parish. You are welcome to apply without a linked parish, however an opportunity to be on the scheme will depend on the availability of a suitable Parish. If you’d like to find out more about the apprenticeship scheme, please get in touch with Rachel Walker, the Apprenticeship Project Coordinator, at apprentices@london.anglican.org. Each Parish will set out slightly different responsibilities for their apprentice, fitting in with their Project Plan. However, the core of every apprentice’s role is to support the children, youth and families work of their parish, and to develop the work to reach out to new children and young people. Please look at the attached Job Description for more details on the responsibilities an apprentice can expect to take on. Applicants need to show above all that they want to pursue this opportunity because they have a heart for youth/children’s ministry and a genuine desire to serve their local community through the church. We don’t expect apprentices to be fully skilled in all areas of the post specification, but that they are aspiring to achieve them through training and experience. Please look at the attached Job Description for a full Post Specification. The Church of England in London is growing, vibrant and at the heart of communities throughout the capital. At the London Diocesan Fund we seek to do everything we can to support this mission and growth, using our resources to help our parishes and chaplains to serve over 4 million people. Fosters a climate of creativity, tolerance and diversity that will help all staff to develop to their full potential.